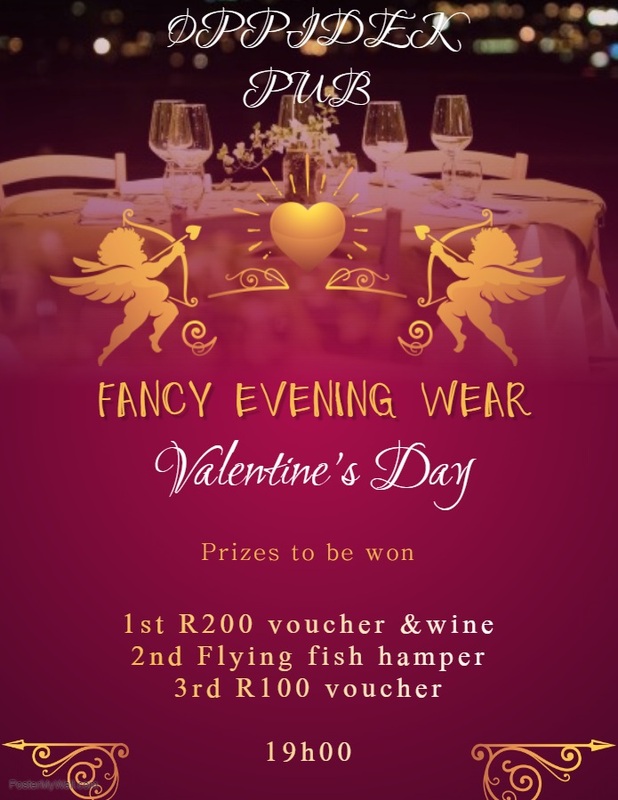 Please complete the form below and your enquiry will be sent directly to Valentine's Fancy Evening Wear via email. Your enquiry has been sent to Valentine's Fancy Evening Wear. Celebrate Valentines's Day at Oppidek Pub & Mama Mia Pizzeria. With great prizes for the most "Fancy Wear" to be won, you sure don't want to miss it! Click on "More Info" below to find out about prize categories.